A nurse at children’s hospice at home charity Jessie May is taking on a 24 hour running challenge to boost funds and raise awareness of the charity. Steve Wiltshire, 30, is one of the Jessie May Nurses who provides vital respite support to families caring for a terminally ill child in their own homes. He has worked in the Jessie May Care Team for over 2 ½ years and is now combining his passion for his job, and for running, and tackling a gruelling 24 hour run to raise money for, and awareness of, the charity. Steve has created his own fundraiser ‘The Difference a Day Makes’ to inspire donations online here (https://uk.virginmoneygiving.com/thedifferenceadaymakes) as he takes on the 24 Hour Conti Thunder Run on July 19th, in Walton-on-Trent. 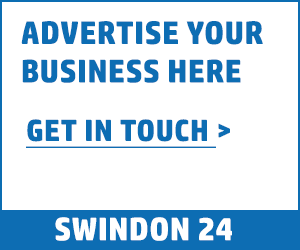 He aims to raise £3,000 – the cost of running the charity for one day – and has so-called his fundraiser “The Difference a Day makes” to reflect the importance of at-home support for families caring for a terminally ill child. Steve, who lives in Bradley Stoke in Bristol, said: “As a Jessie May Nurse, I understand the enormous difference Jessie May’s support makes to families with a terminally ill child. The families the Jessie May nurses support are all incredible and I know how important it is that we are there to help. Many rely on our respite visits and emotional support and have said they’d now be completely lost without us. “This is why I want to help raise money for Jessie May – I have seen the impact we have on families firsthand. The challenge that I have decided to undertake is to run as many 10km laps as I can in 24 hours through the 24 Hour Conti Thunder Run. It’s pretty extreme! “I know caring for a terminally ill child is an exhausting, 24 hour task; physically and emotionally. This 24 hour run is quite symbolic of the 24 hour care the children require and I hope by completing the 24 Hour Thunder Run, it inspires people to talk about Jessie May, and why our support is vital to families, and make a donation through my fundraising page (here) if they can. One of the Jessie May children Steve supports is 2 year old Alba, who has a life limiting condition – Congenital disorder of glycosylation type 1D – which means she cannot walk or talk, and needs 24/7 care and attention. She suffers from seizures on a daily basis, and has to take 14 types of medication each day. She has poor vision, very limited body movement, and is fed directly into her stomach through a syringe. Alba’s mum Roz said: “Jessie May is so important to us because we totally trust the nurses. The nurses know Alba so well; they understand how she can communicate, and her needs. They can be trusted to feed her, put her to bed, and give her medication when it’s required. Not many people can do all this without someone else there to support them! Knowing Alba is in safe hands means the world to us. 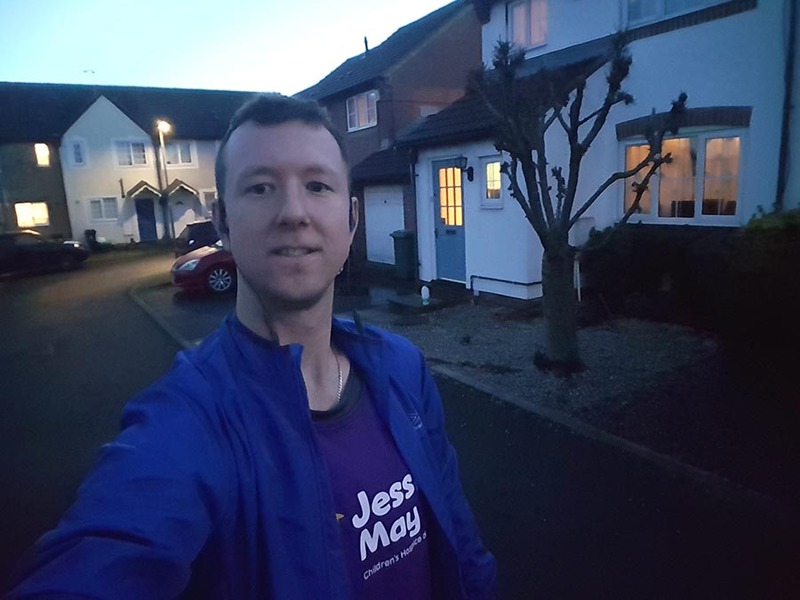 Steve is now encouraging donations to his online fundraising page here as he trains ahead of the big day, in his purple Jessie May running vest. He added: “It’s truly an honour to run and raise money for families like Alba’s. It’s an honour in itself being invited into their home every month! Now I’m actually really excited for the day to come! I hope to raise as much money as possible so Jessie May can continue to support families, and also welcome additional children with life limiting conditions to our caseload. To make a donation on Steve’s fundraising page, visit: https://uk.virginmoneygiving.com/thedifferenceadaymakes. To find out more about Jessie May, visit www.jessiemay.org.uk.